I like road trips. 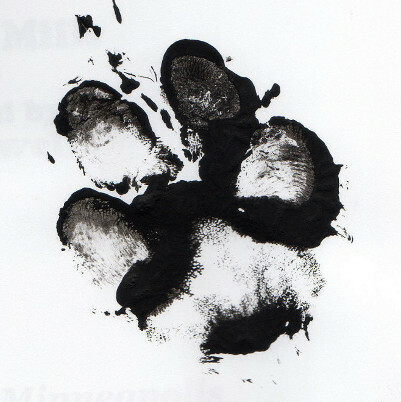 Most dogs I know do. I’ve never been on a really long road trip. My longest trip was to the beach on the Gulf Coast of Texas. That drive took FOREVER! The Mom Person says it was really only 5 hours. I don’t know “only 5 hrs.” Trust me, it was FOREVER. But I forgot all about that when we hit that beach!! I’ve got a book here about a road trip. And this one was a ROAD TRIP! As in BOLD CAPITAL LETTERS ROAD TRIP! 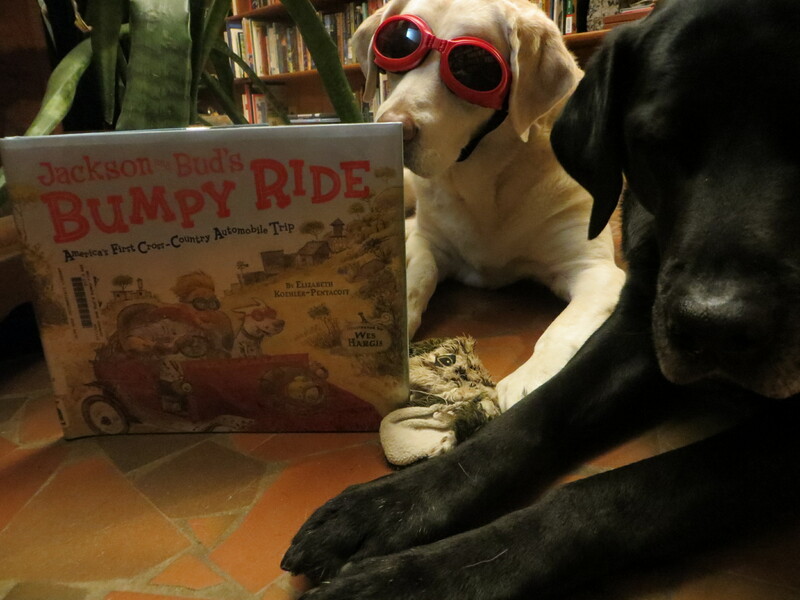 Jackson and Bud’s Bumpy Ride, America’s First Cross-Country Automobile Trip. Published by Millbrook Press in 2009. 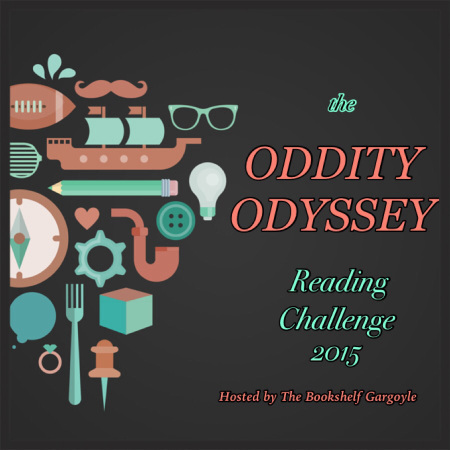 This is a fictional story of a true event — The first automobile trip across the United States. “I bet fifty dollars no one can ride in a horseless buggy across America.” says a man. Horatio Jackson sits up straight. Of course it can be done, he thinks. Those new automobiles can do anything. And Mr. Jackson sets out to do just that! He hires a mechanic named Crocker, and buys a used 1903 Winton automobile. On May 23, the two men set out from San Francisco on their quest to reach the other side of the United States. It turns out to be quite an adventure, with car troubles, weather disasters, and roads not meant for car travel. But they meet some nice, helpful folks along the way. At one point they encounter a man on the side of the road selling a bulldog. They buy the pup and name him Bud. 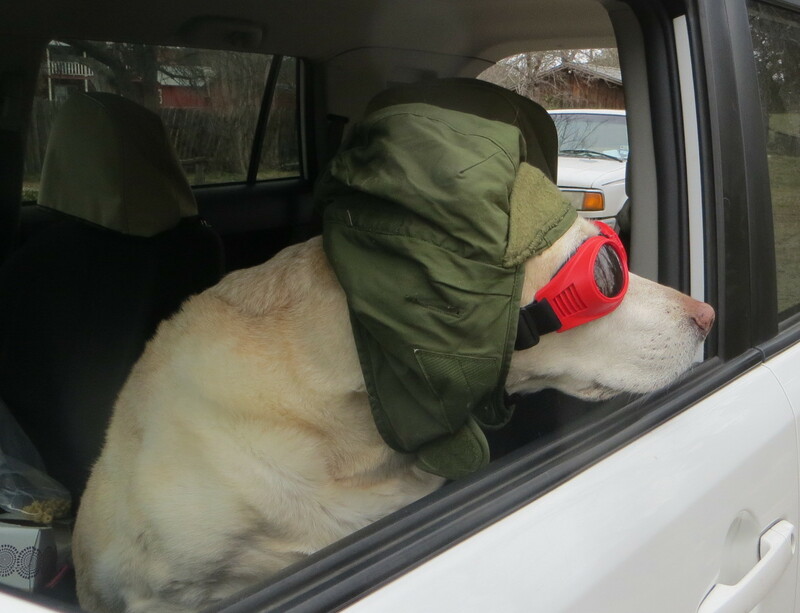 Bud gets to ride up front and wear some cool goggles. On July 26, after sixty-three days, twelve hours, and thirty minutes they drive into New York City at 4:30 in the morning. They had made history and won that fifty dollar bet! There is an afterword at the end of the book with real photos from the adventure and more facts. 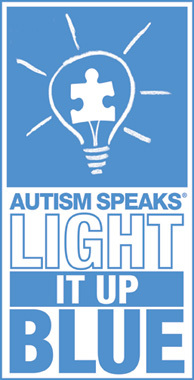 There is also a bibliography and resources for more information. This is a most excellent book! The only thing that bothered me some, was the fact that the mechanic, Crocker, didn’t get mentioned in the title of the book! The story itself is an incredible one. I now dream about being Bud out on the road. The illustrations are great. Mr Hargis has added a touch of whimsy to this otherwise frightening endeavor. I will be looking for more of his work. You can visit both Ms Pentacoff and Mr Hargis at their websites by clicking on their names above. 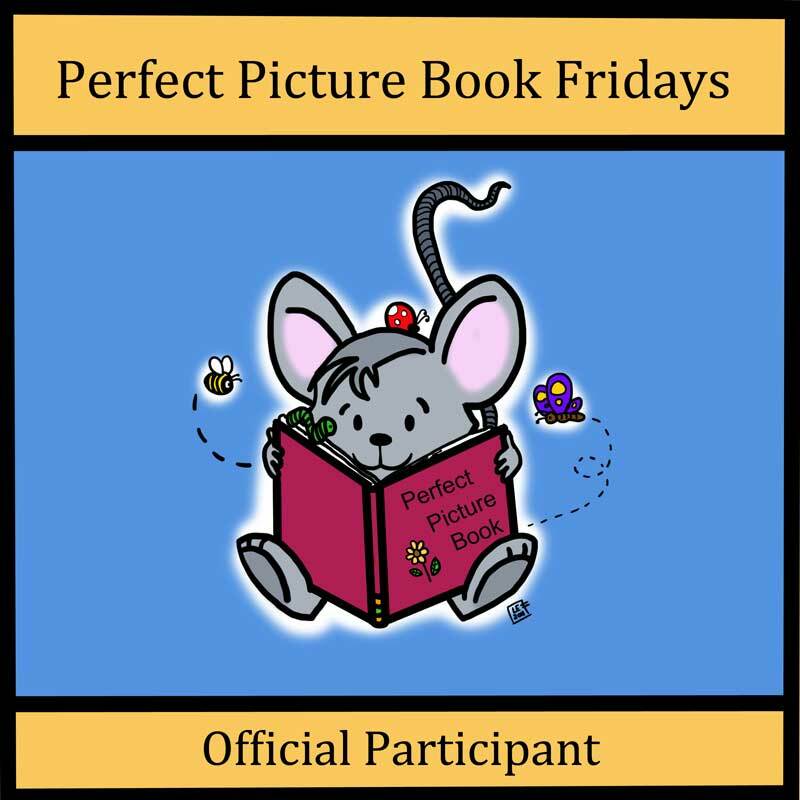 For a list of Perfect Picture Books and resources to go along with, visit Susanna Leonard Hill’s Blog. You’ll be glad you did! I wish you safe driving, wherever the road may take you! Recently my Humans took a plane ride out to California to visit our Princesses (and their Mom and Dad). 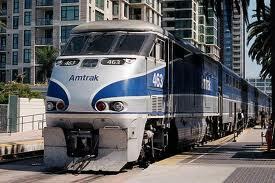 While they were in Califonia, they went on a train ride from Los Angeles to San Juan Capistrano. They all say that it was a really fun trip. Of course, I have no first hand knowledge of this as I did not get to go on this adventure. They took this book on the train with them and were quite excited about the way that their trip mirrored the train trip in the book. 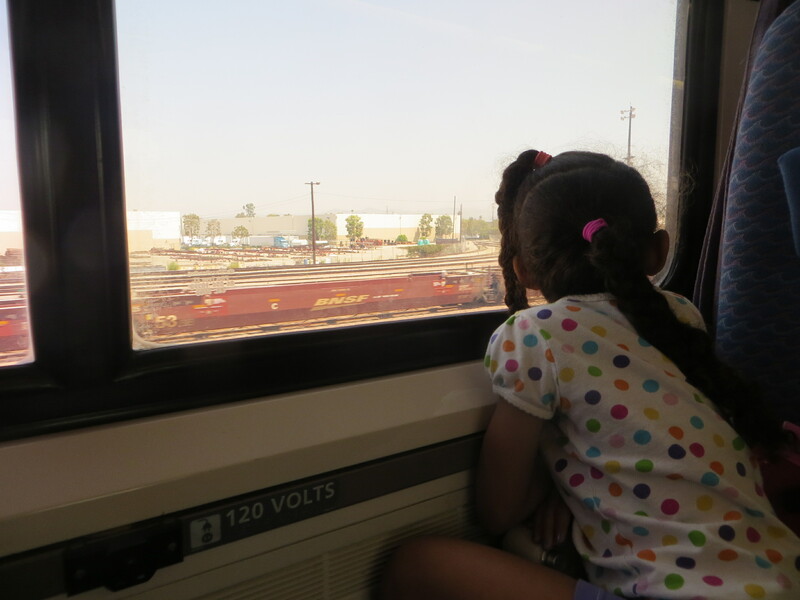 In the book, a little girl is traveling by train with her Mom to visit her Grandmother. In the book, the Mom and Grandmother tell the girl that she is too small to know the entire world. But she knows better. They start in the big city surrounded by cement and skyscrapers. The train travels through big city, then smaller cityscape, then suburbia and out through the countryside. Through swamps and forests, along a river, into farmlands and finally to Grandma’s house. 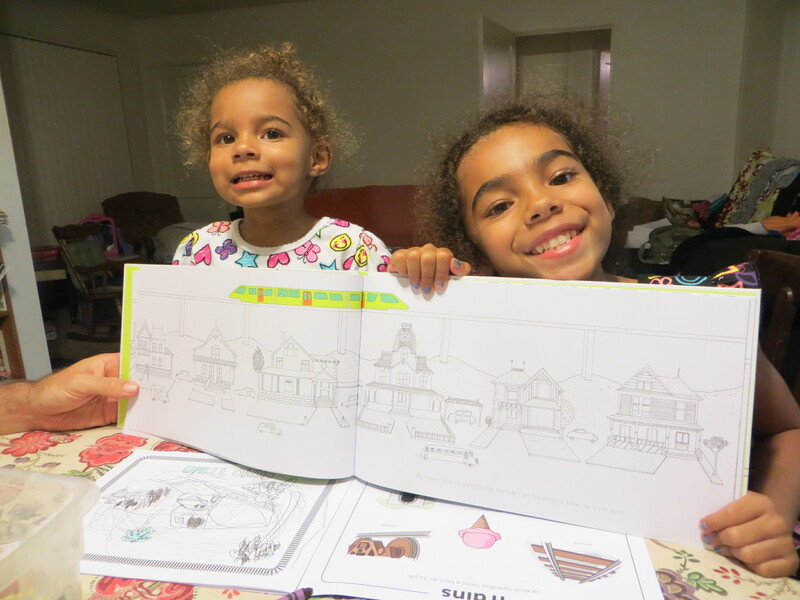 The Ladybug Princess really liked the illustrations in the book. She liked that the train was the only color and everything else was black and white. She liked the houses. Some were regular houses and some were fantastical. The sights that the little girl saw in the book were very much like what the Princesses saw out their windows. 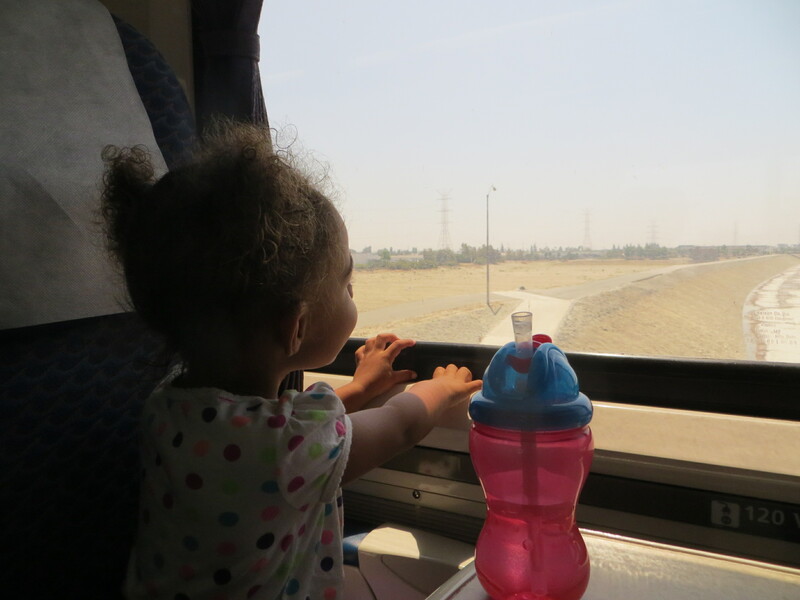 ( The windows were the best part of the train!) 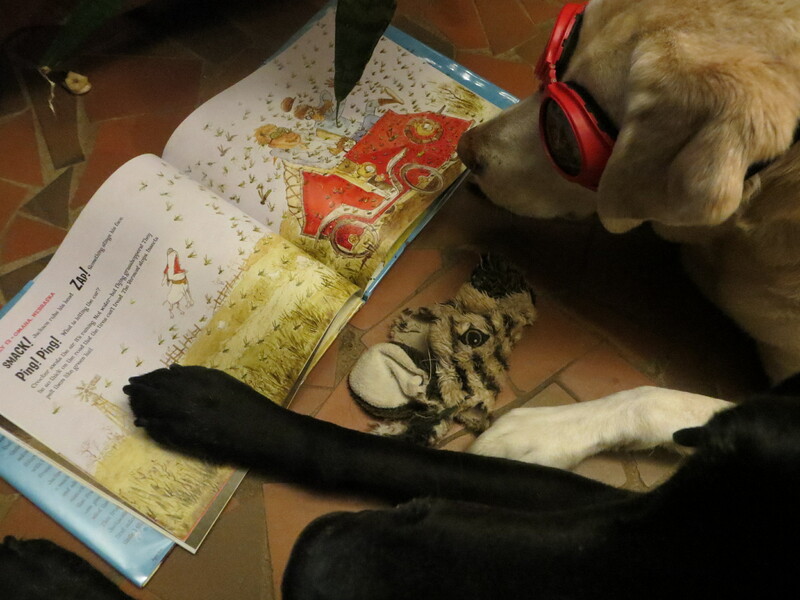 Except she really wanted to see some of those strange animals that were in the book. No sign of those out her window. The Noodle Princess says, about the book, that she liked when the bus went by and the train went by and she liked the houses and the trees and the mountains. And she knows the whole entire world! 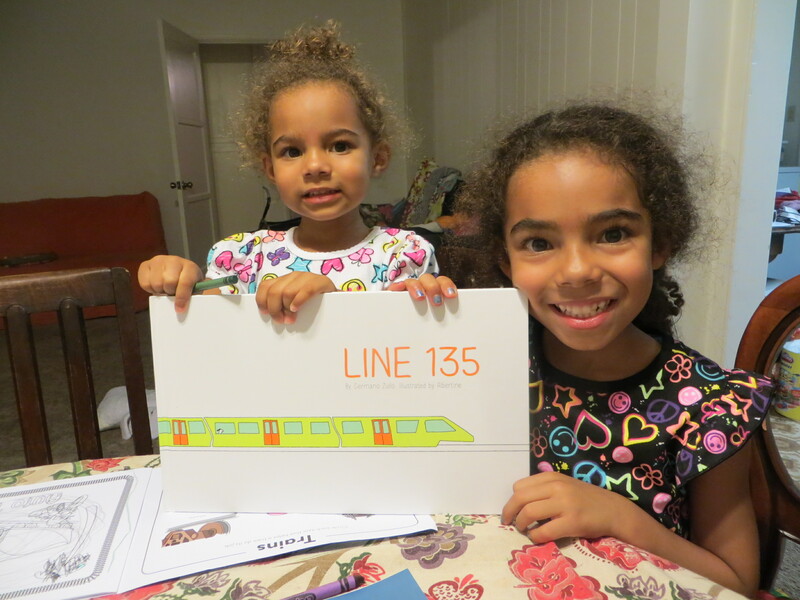 Line 135 seems to have been an excellent choice to take along on a train ride! A big thank you to Ms Carter Higgins for discovering and sharing this fabulous book!!! 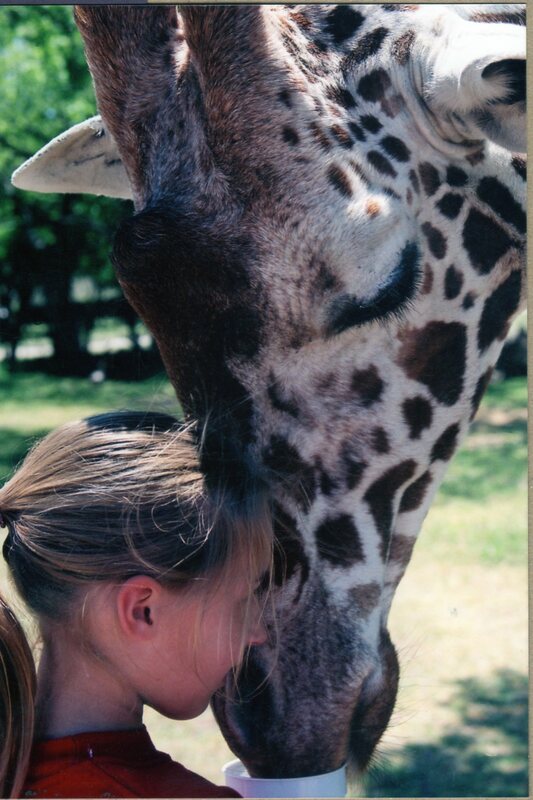 Well, you’ve floated down the river and driven through Fossil Rim and fed all those yummy pellets to the giraffe. I’ll bet you’re feeling a little hungry about now. 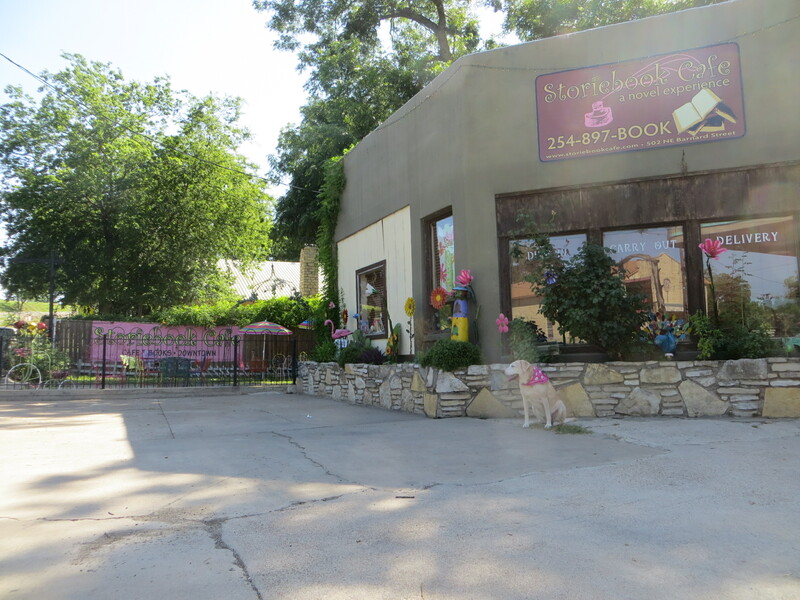 Let me introduce you to some fine eating establishments in Glen Rose! 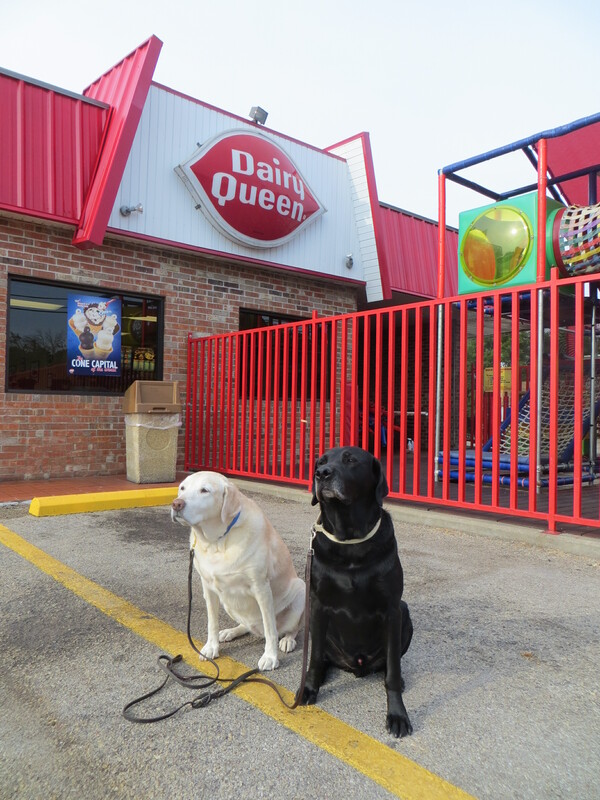 We’ll start with my very favorite place to go — Dairy Queen!!! I don’t know if all of you folks out there are familiar with this fine eatery. It’s kind of a Texas icon. They’re famous for their ice cream treats. Cones and Dilly Bars and Buster Bars and shakes and cakes and Blizzards. But they also make burgers and chicken and FRENCH FRIES! Whenever Walker and I go to work – to the library or the detention center or the hospital, we get to go get french fries afterwards. And DQ has the best! AND, they always have dog biscuits for us as well! The BEST place! We have other burger places in town as well. The Green Pickle has a large variety of burgers and chicken fried steak. And I know that they have excellent burgers because they are always tooo big for the Mom Person to finish so she brings some home to share with us. Another favorite establishment is the Storiebook Cafe. It’s a cafe and bookstore all in one! They offer sandwiches and soup and stuff like that. And you can browse the books while you’re there. I’ve had doggie bags from here as well and I can testify that they make very fine sandwiches! No fries though. There are a couple of Barbecue places in town. 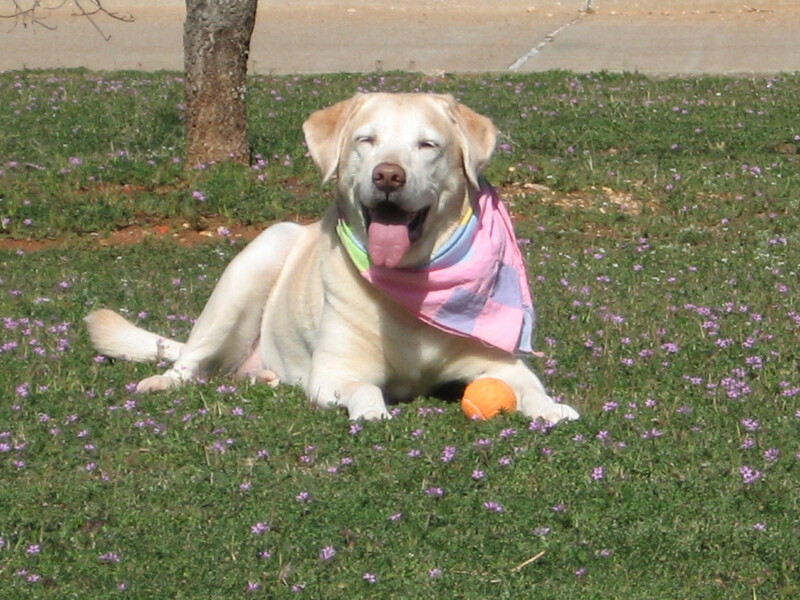 The Ranch House is especially dog friendly. 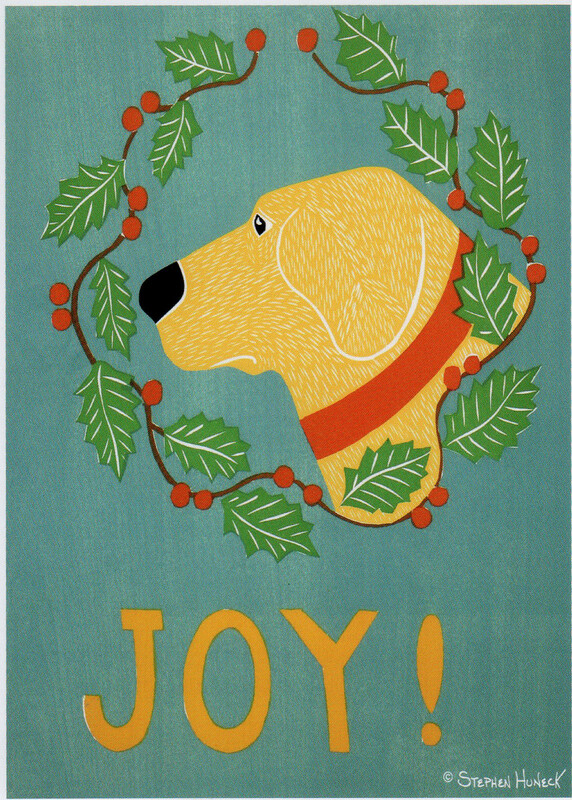 They used to have a big porch where it was ok for dogs to come sleep under the table and soak in the good smells. They have recently enclosed said porch which is a sad thing. Hammonds is the other Barbecue place. They have a big buffet for lunchtime guests. And doggie bags from both of these places are yummmmmy! There are several Mexican restaurants and pizza places and pretty much your choice of fast food places. No McDonalds! This makes the Mom Person very happy for some reason. There’s a Chinese restaurant and a Cajun one. We’re pretty multi-cultural here. There’s even — Hollywood and Vine! They’re mostly a burger joint but I understand they have other stuff on the menu as well. Several of these places have live music on weekends. The Hollywood and Vine, Storiebook Cafe and The Green Pickle. I’ve heard some of this music from afar and it’s pretty good stuff. When you go to restaurants, I happen to know that sometimes you have to wait around a lot. To get a table, to get a menu, to get your food. And all that waiting can get pretty boring. I know. I’ve been there! Well, I have just the thing for you! A book of course! 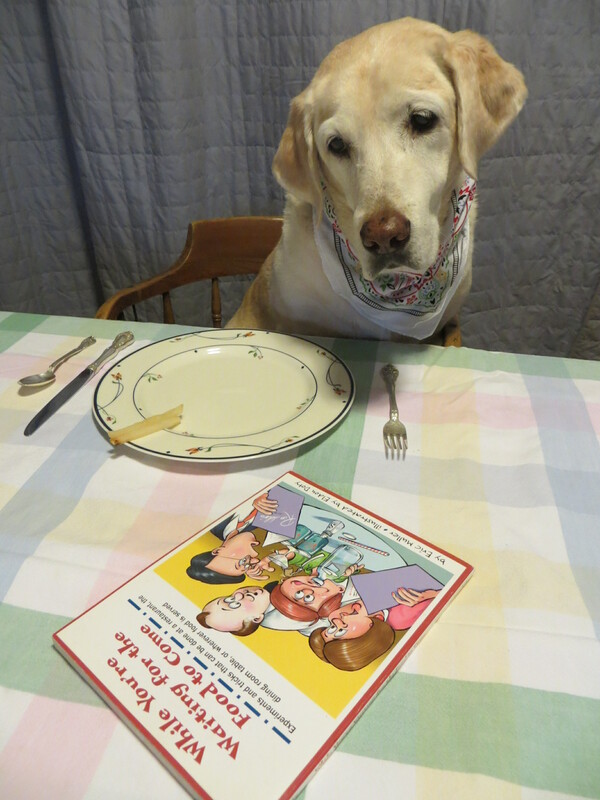 While You’re Waiting for the Food to Come is a must have book for any dining event. It is by Eric Muller with illustrations by Eldon Doty. It was published by Orchard Books in 1999. It is “A Tabletop Science Activity Book” subtitled “experiments and tricks that can be done at a restaurant, the dining room table, or wherever food is served.” 76 pages of all kinds of fun stuff to do at the table! With a glossary and further resources at the back. Excellent! 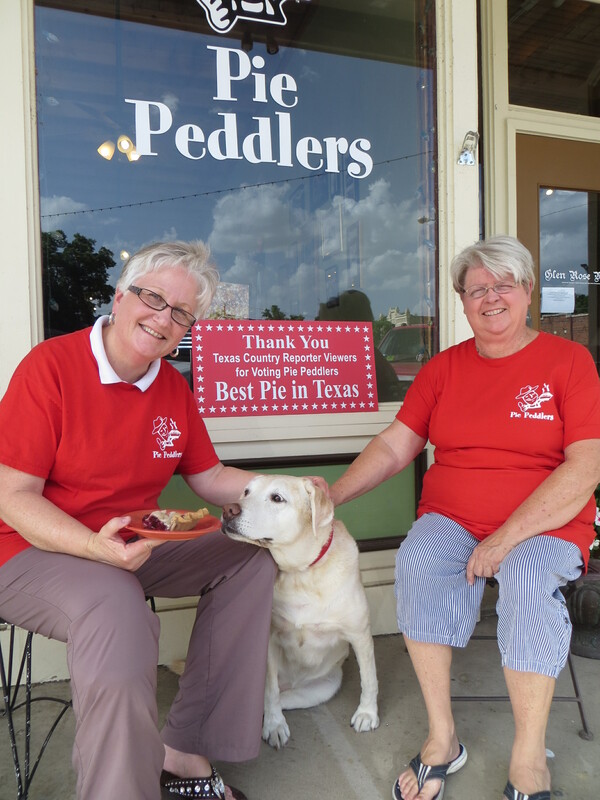 They were recently voted Best Pie in Texas by the Texas Country Reporter, a Texas travel TV show. They are a couple of really friendly ladies and their pie shop is a good place to kick back and relax. I highly recommend that cherry pie! Now after you’ve filled your belly with all this fine food, you might want to just stay the night in Glen Rose. We have several nice motels and quite a few Bed & Breakfast places with mighty fine beds. Some are right in town and some are on the rivers. 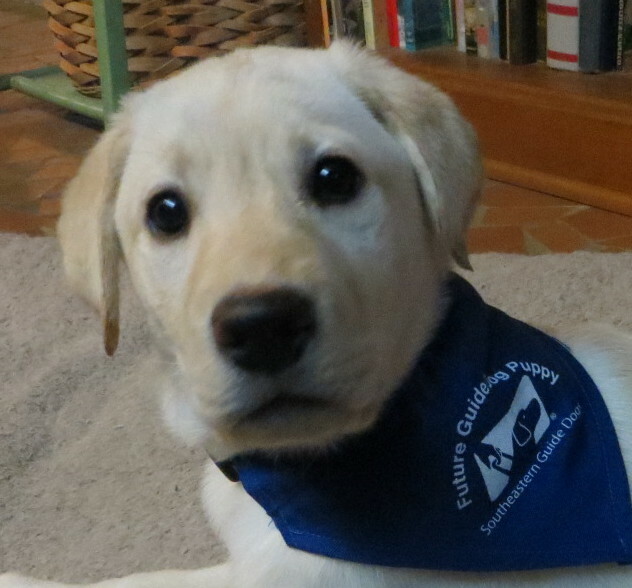 I’m going to leave you with some links to more information if you are so inclined. Y’all come on out for a visit some time! There’s plenty to see and do around here. I didn’t even tell you about the Expo Center where there are rodeos and horse shows and dog shows — something every weekend. And our passion play, The Promise, that has performances in an outdoor amphitheater during the fall. And our art museums and regular events for artists. Whew! 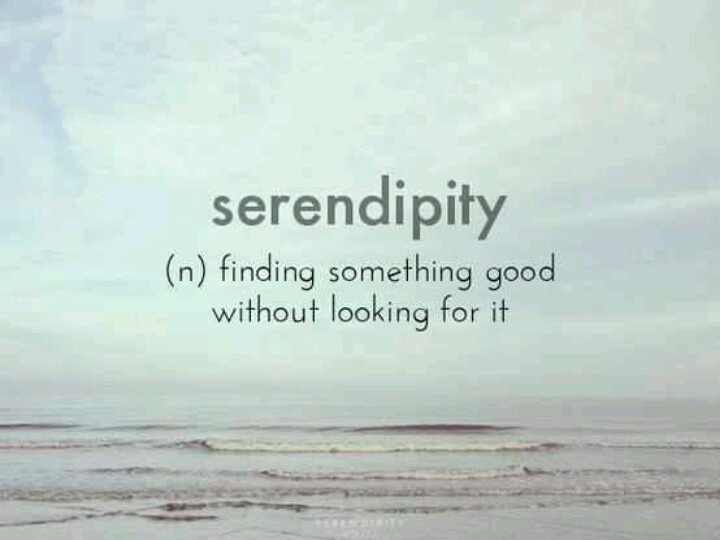 Always something! Now a little musical send-off – about PIE! See ya! OK! Grab your hat and camera — we’re going on a safari! A few miles down the road from us is Fossil Rim Wildlife Center, a world-renowned, 1,700 acre wildlife preserve dedicated to the conservation and preservation of endangered animals. Like rhinos and cheetahs and the native Attwater’s Prairie Chicken. 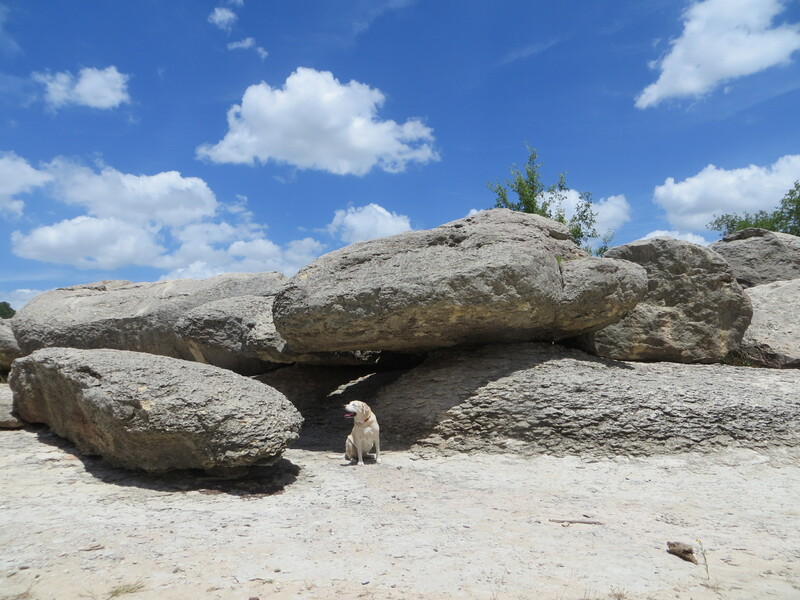 Now I’ve never actually been to Fossil Rim as they have a very strict NO DOGS ALLOWED policy, so everything I’m going to tell you and show you is hearsay. But it all comes from the mouth of My Mom Person who has been to Fossil Rim a billion times. 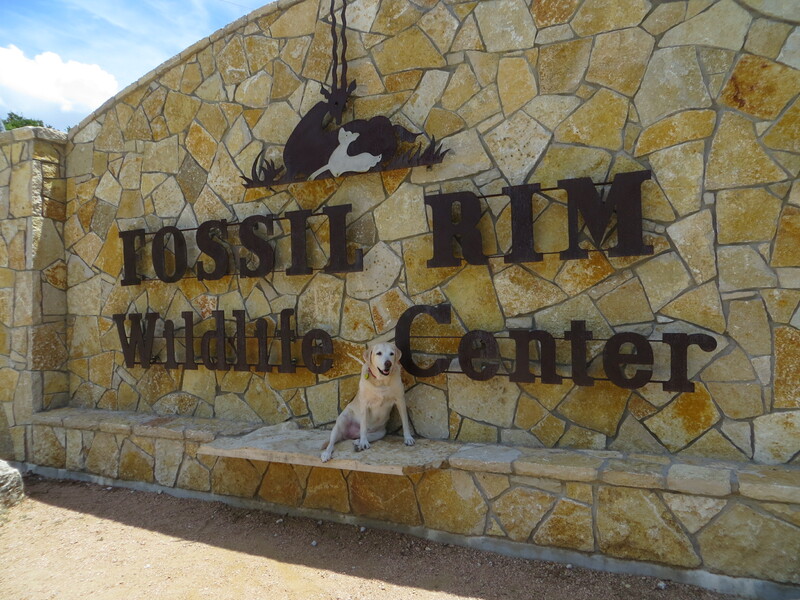 To tour Fossil Rim you can either drive your own car through the 9 1/2 miles of road (don’t bring the dog!) 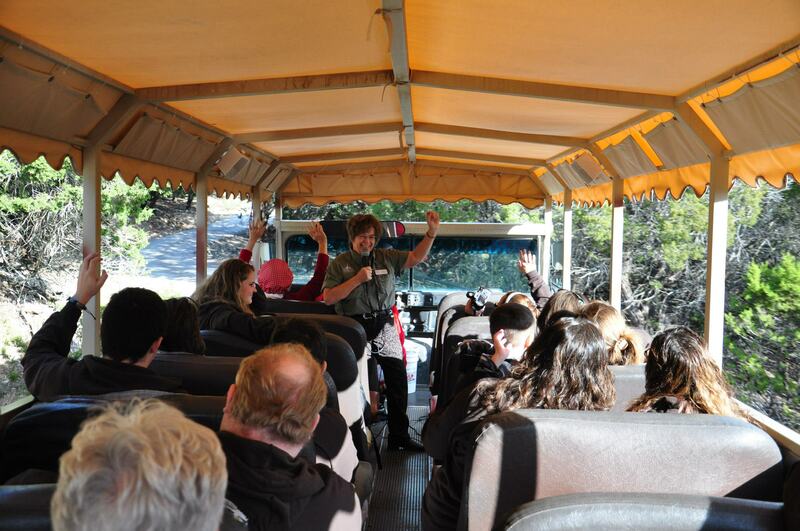 or you can reserve a tour on one of Fossil Rim’s Safari Vans with a tour guide. You can purchase cups of feed to feed the animals that you encounter. I have sampled these special pellets and they are quite yummy! They make me feel tall like a giraffe and swift like a deer! There are over 1,000 animals from 50 different species roaming the hills and pastures of Fossil Rim. No dogs! But they do have wolves. Red Wolves, Mexican Grey Wolves and Maned Wolves. There aren’t any wolves at all in Texas any more. Except at some zoos and Fossil Rim. But these animals are not here just for the fun of it. Most of the animals are part of intensive breeding programs to help preserve their species. Some of them are actually extinct in the wild! Rather than me trying to give you all the cool facts, I will refer you to the Fossil Rim Website here. I will tell you that Fossil Rim offers overnight accommodations if you are so inclined. They have a very nice Lodge and a really cool Safari Camp. I have included pictures of both in my picture gallery above. 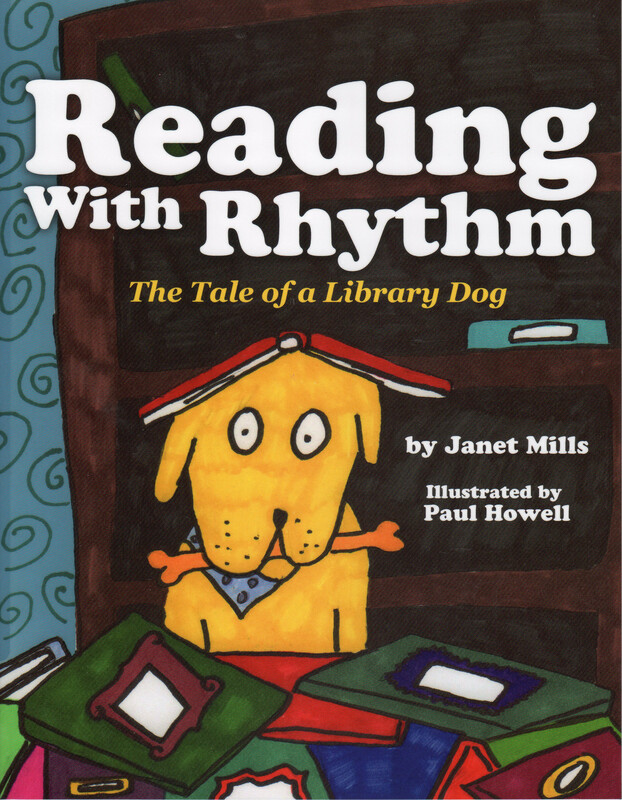 And since I am, after all, a LIBRARY dog, I have a great book for you to get you in the mood for your Fossil Rim visit. 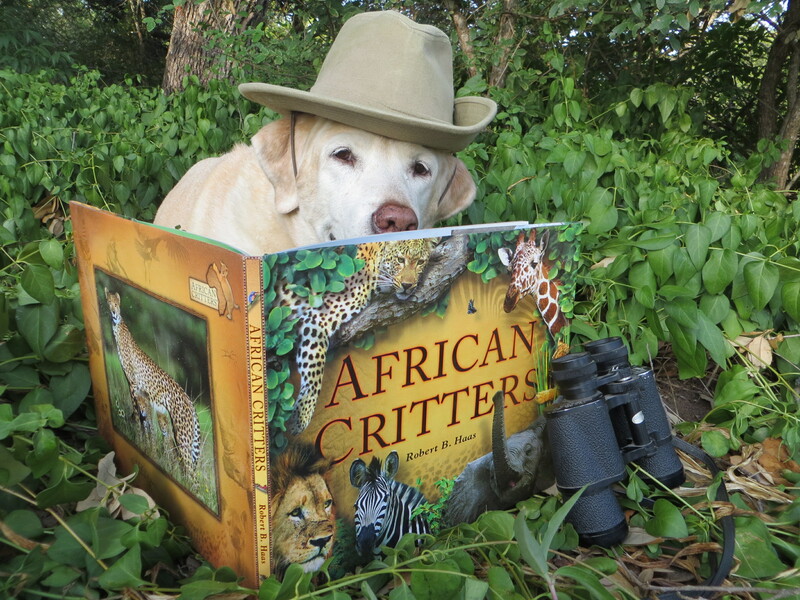 African Critters by Robert B. Haas is an incredibly beautiful book for young readers about African wildlife. It was published by Sacova Publishing in 2002. It is a photographic journey with text and photos by Mr Haas. 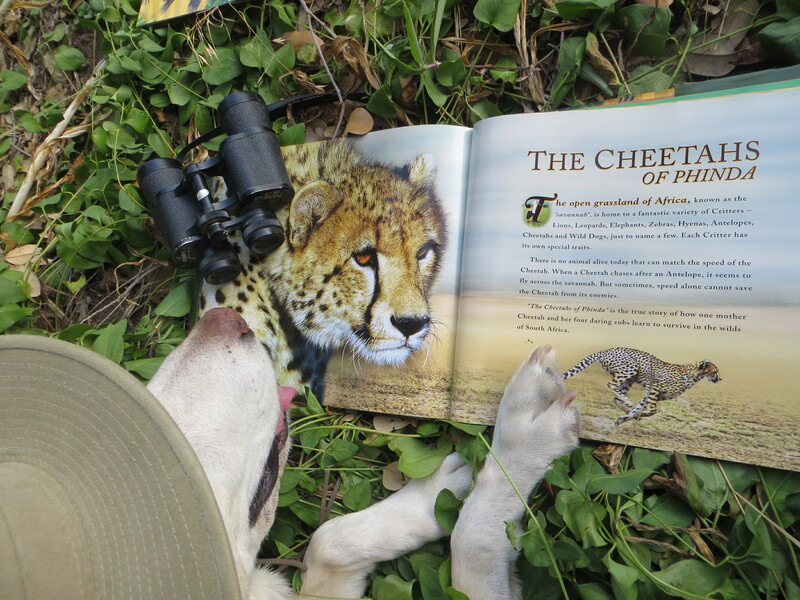 This book is particularly special to Fossil Rim because the Haas Family was instrumental in helping the park build a new cheetah facility some years ago. The Robert B. Haas Cheetah Conservancy was created at Fossil Rim by a very generous grant from the Haas Family Foundation. I’ve been dreaming of road trips, but alas, My Mom Person claims to have no time for such things right now. 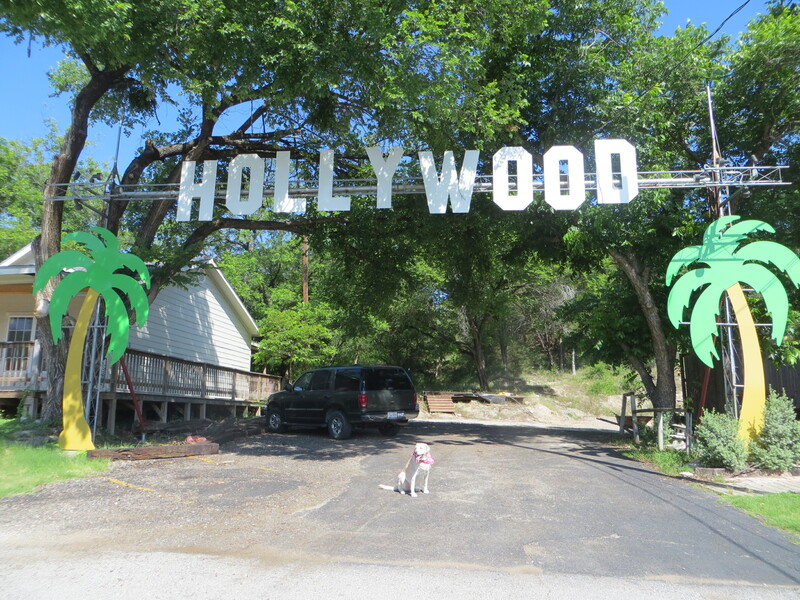 So instead, I’ve decided to take y’all on a road trip — to Glen Rose, Texas. My home town! 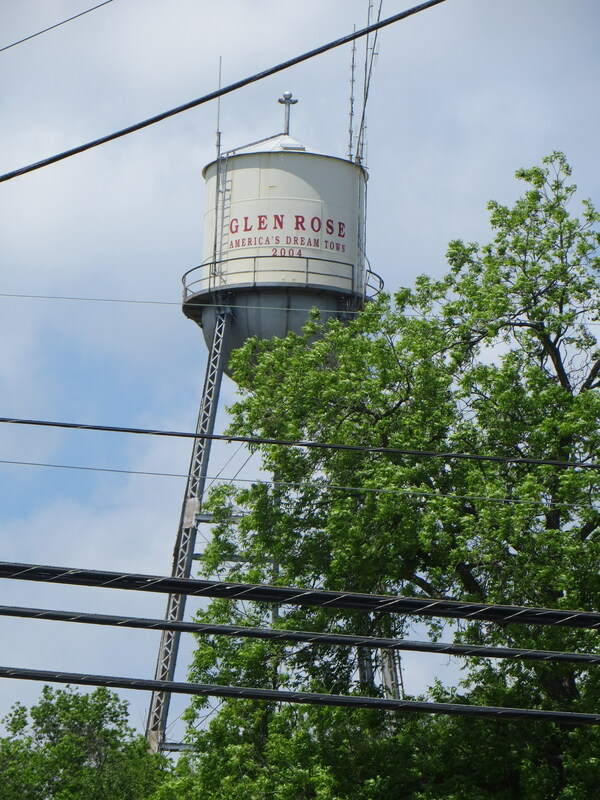 Glen Rose is in north central Texas about 90 miles southwest of the Dallas/Ft Worth area. 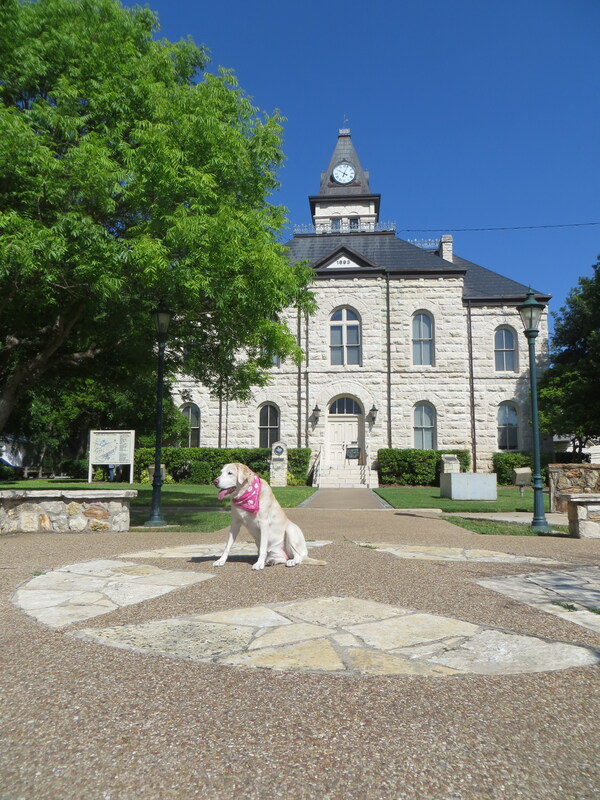 It is the county seat of Somervell County, the 3rd smallest county in the state. 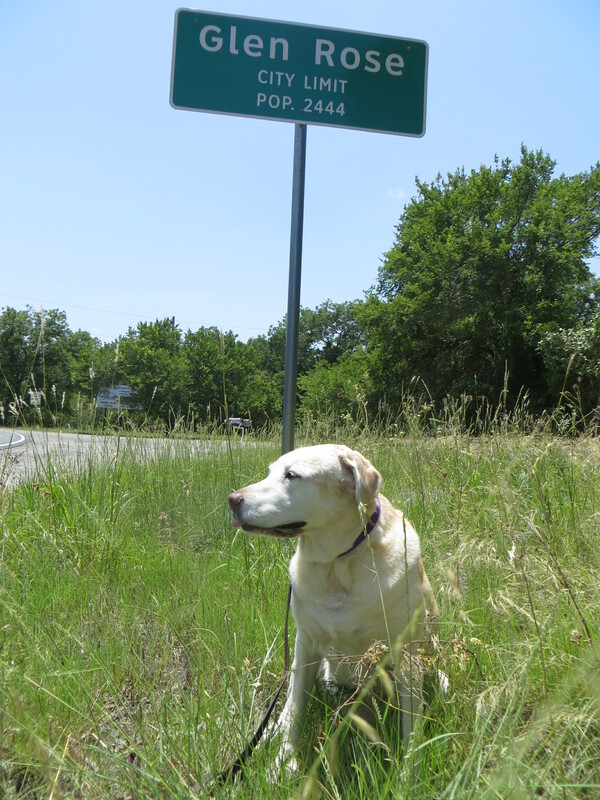 Glen Rose is a smallish kind of town. There aren’t any big tall buildings like I see in Dallas. And we don’t have a lot of traffic. What we do have is an abundance of natural geographical and geological wonders. We get lots of tourists coming out to enjoy all the cool stuff that I live with all the time. I’ve already told you about our fossils and dinosaurs. 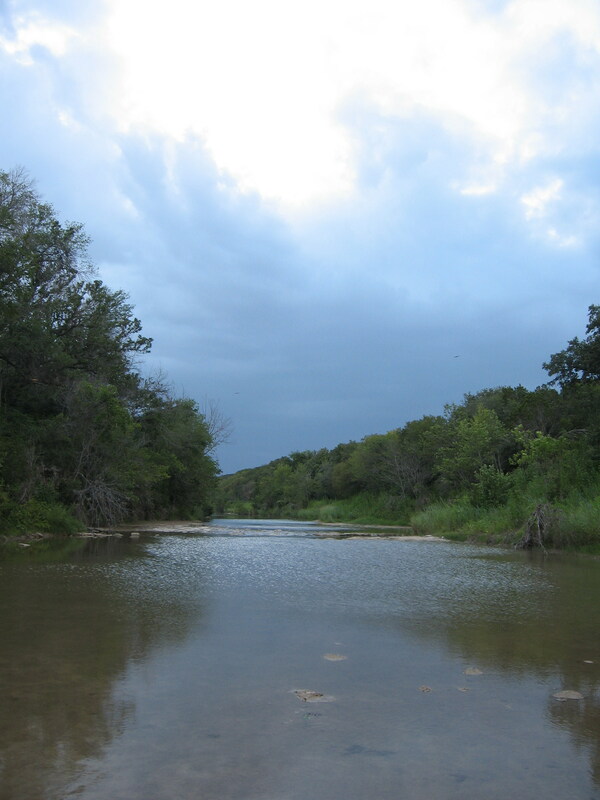 Dinosaur Valley State Park is a great place for camping, hiking, swimming, fishing and dinosaur hunting. Fossil hunters and dinosaur enthusiasts come from far and wide. 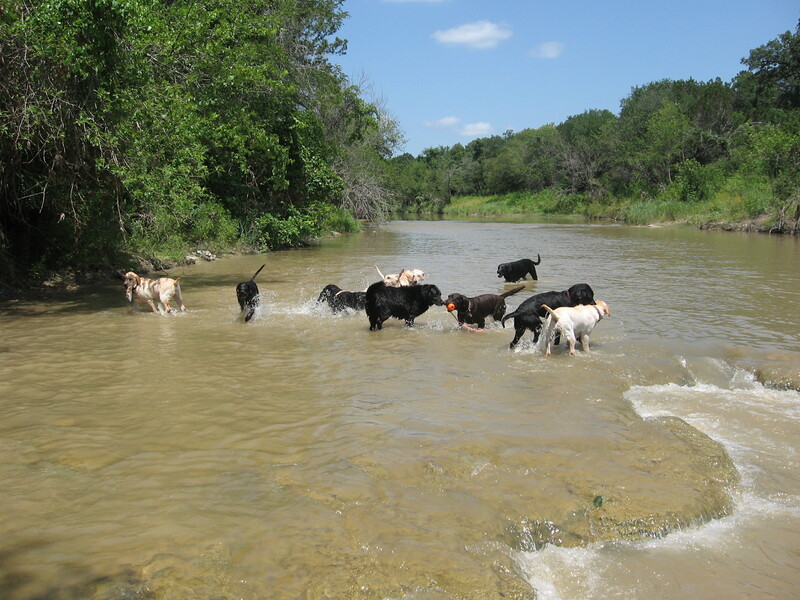 There are 2 rivers that converge in Glen Rose. The Paluxy River, which is the one that runs past our place and the one that I play in, and the Brazos River, which is a bigger river and probably more well known. There is a famous writer who lives in Glen Rose, Mr John Graves, who wrote a couple of books about the area. He once took a three week canoe trip down the Brazos River before they built some dams on it, and then he wrote a book called Goodbye to a River. This is a most excellent book that I highly recommend! A lot of folks come to this area to enjoy our rivers. They bring canoes and kayaks and tubes to float in. There are some places in town where you can rent these things as well. 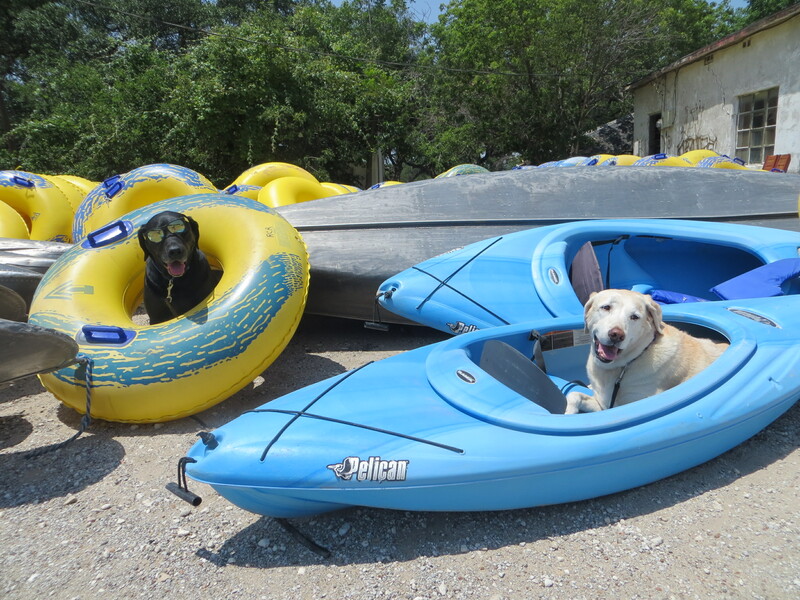 We dogs don’t need canoes or tubes. We can have a good time just splashing and swimming! And some people like these activities as well, but some folks like to have some kind of vehicle to propel themselves down the river. There are also two lakes in the county for fishing and boating activities. I understand that they provide for some pretty good fishing. I’ve never been on a boat before. I’ve tried some fishing in my river. 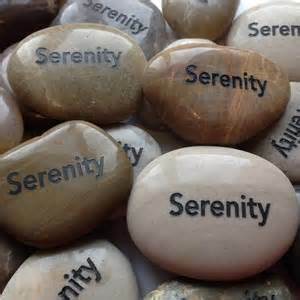 I hear that it’s supposed to be a relaxing, meditative kind of activity, but those fish are too quick for me and that makes for a stressful, frustrating kind of activity. Along with the water enthusiasts and the rock hounds and the camper folks, we get a lot of bikers riding through the area. The motor kind and the pedal kind. 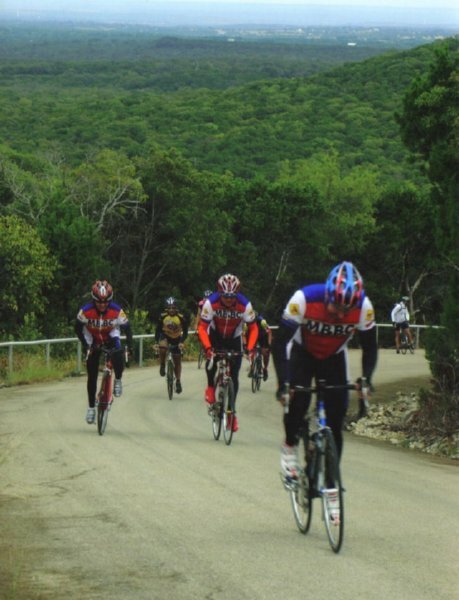 There are some really tough hills that challenge the best of them. 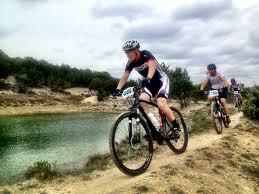 There is a ranch called the Solavaca Ranch that has created some trails for mountain bikers and they have BIG events several times a year. In the fall we have the Paluxy Pedal for those bikers who prefer riding on the roads. Participants have a choice of distances to ride from 29 mi. without “the Wall” up to 80 mi. with “the Wall”. I’ve not ever seen that Wall, but by the time those bikers pedal past our house they’re looking pretty tired. And then there are the golf courses! We have 2 courses to choose from if you are into golf. I don’t play golf myself, my Mom Person says golf balls are too small for me to play with. So I can’t tell you a lot about our golf courses except that they are very popular. There are LOTS of golfers in Glen Rose!